David M. Bybee, 57, of Silvis, died Friday, May 31, 2002, at Genesis Medical Center, West Campus, Davenport. Services will be 2 p.m. Tuesday at Esterdahl Mortuary, 6601 38th Ave., Moline. Entombment will be in Greenview Memorial Gardens, East Moline. Visitation will be 4 to 8 p.m. Monday. In lieu of flowers, memorials may be made to First Baptist Church, East Moline, Illinois Heart Association or American Diabetes Association. David was born in Moline, son of Carlus E. and Marilla Utzinger Bybee. He married Judy Short Aug. 21, 1965, in Rock Island. David worked as a laborer for Amtex, International Harvester and the former Wilken Pipe and Supply. He then worked at the Moline Post Office, retiring in September 2000 after 33 years. David also had worked as the National Business Agent of Chicago, Region 3, for the last 25 years. He was a member of the National Association of Letter Carriers Branch 318 which was named after him. David was involved in several union activities, including vice president of AFL-CIO for the state of Illinois. He was a member of First Baptist Church, East Moline, a former fire chief of Carbon Cliff and a school board member. David was actively involved with Democratic politics for several years. He was a member of Moline Elks Club BPOE 556. David enjoyed traveling, auto racing, reading and politics and spending time with his grandchildren. Survivors include his wife, Judy; sons, Michael Bybee, Moline, and John Bybee, Silvis; grandchildren, Ryan, Brandon and Jennifer, all of Moline; mother, Marilla Bybee, Rock Island; brother, Richard Bybee, Moline; and several nieces and nephews. He was preceded in death by his father. 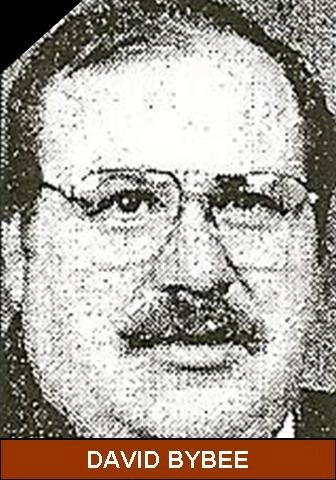 In December, 2002, at the East Central Iowa-North Western Illinois AFL-CIO Hall of Fame Banquet at The Lodge in Bettendorf, David Bybee, who worked for the post office in Moline for 33 years and was secretary of the Illinois State Association of Letter Carriers from 1971 to 1977, was posthumously inducted into the AFL-CIO Hall of Fame.